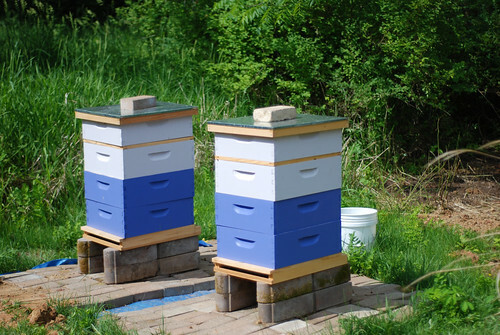 These three boxes will be where the queen hangs out – laying eggs, making more bees. 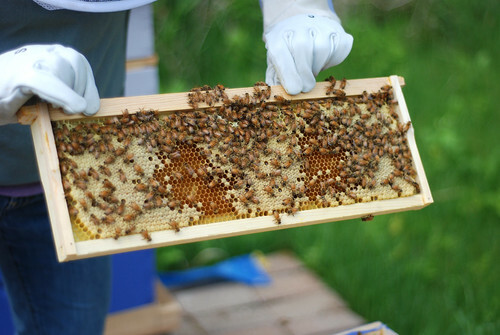 In a week or two, when the third brood box is full of bees, we will start adding honey supers to the top of the hives. 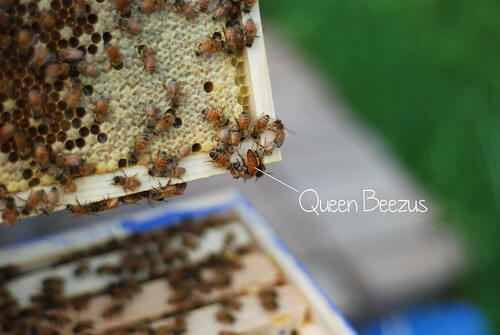 We'll add a queen excluder between the brood boxes and honey supers to keep the queen from laying eggs in the honey. I don't know about you, but I like my honey to be larvae-free. After our inspection today we built 6 more boxes and frames to fill them all. We are ready for the rest of the season. 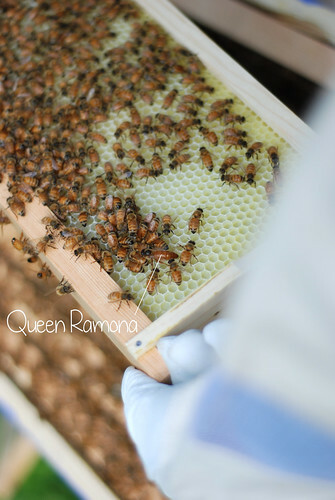 Bring on the honey! Fascinating!!!! Go bees Go! I too say "bring on the honey".